Celtic Herbal sent me some of their gorgeously indulgent products to try out, and they have also offered a giveaway prize for one of my readers. I was sent the Wellness Gift Box and it's gorgeously presented in a very smart box. An excellent present that makes you feel spoilt before you even undo the ribbon. Inside the box doesn't disappoint, 4 beautiful products - the Exotic Wood & Ylang Ylang Soap, Bath Salts, Bath Oil and a Travel Candle. 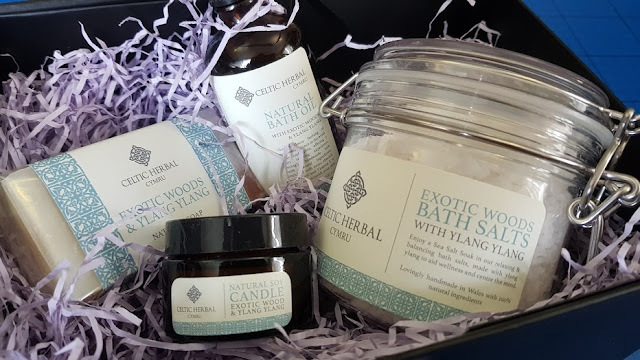 Any regular readers will know that I'm a big fan of natural skincare, but not many people know that in a previous life I studied Aromatherapy Massage, so I was delighted to find that the Celtic Herbal Wellness Gift Set is fragranced with Ylang Ylang. I have a very poor sense of smell, but I have always adored YlangYlang, both for the fragrance and the relaxing, calming effects that this natural oil has. No surprises that after a lovely Mother's Day bath using the Bath Crystals, a few drops of Bath Oil and the Soy Candle, I felt pampered and relaxed and was ready for my dressing gown and a movie on the sofa. 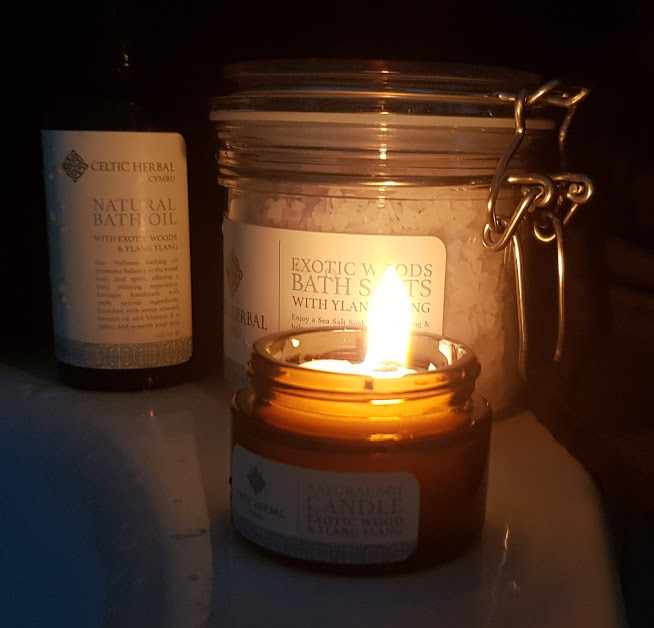 My skin felt gorgeous and soft, and actually everyone slept well, the gentle smell of Ylang Ylang had escaped from the bathroom and my whole upstairs had an air of calm. 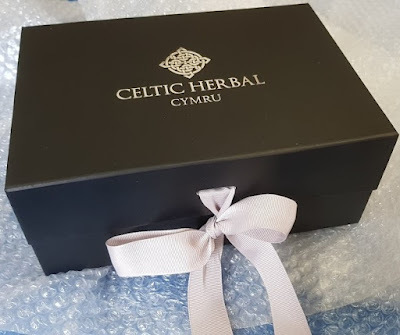 Celtic Herbal also sent 4 products from the new Gwdihw range - naturally kind skincare designed to suit the young members of the family. I did look it up, Gwdihw means Owl, and these are a wise bunch! 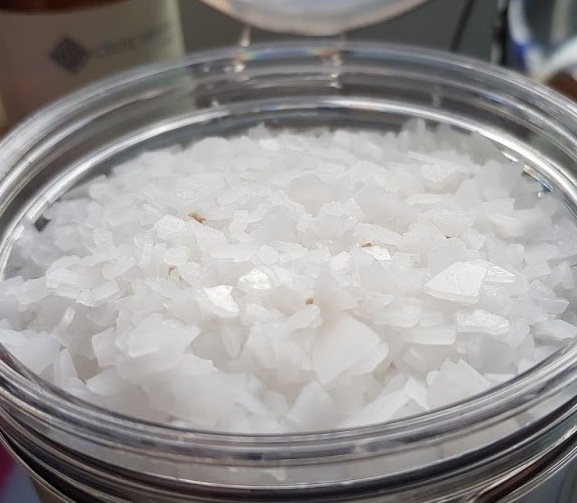 The products are really interesting and useful. 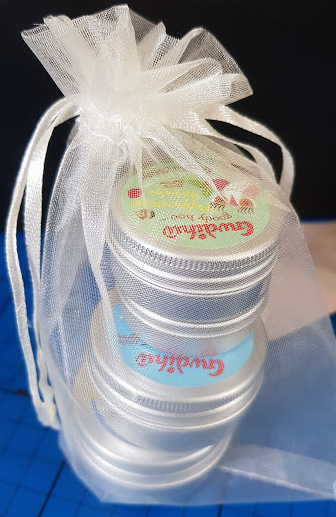 I was sent four of the balms, each in these great little metal tins which are brilliant for travelling and keeping in a pocket or handbag. They won't spill, and the balms are hard enough at room temperature that your child won't scoop half out in one go! Night Owl Sleep And Balm - this is genius and works well with my youngest. A calming and relaxing balm that you apply to pressure points and let Mandarin and Ylang Ylang soothe you towards sleep. All Celtic Herbal products contain no nasty chemicals. They are responsibly sourced, using only sustainable and ethical ingredients, pure vegetable oils and high quality essential oils. Beeswax helps produce a creamy, enriching and long-lasting soap and candles are made from pure soy wax with eco-wicks. 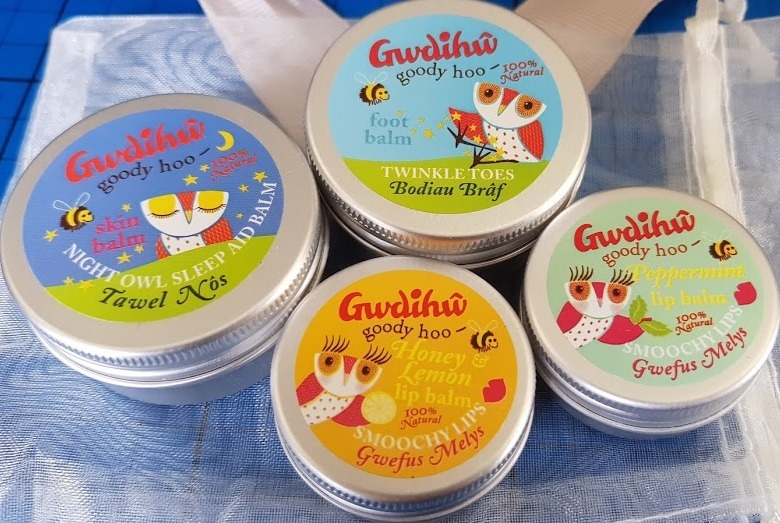 The Gwdihw balms cost £4-£4.49 each and the Wellness Gift Box costs £28.00. 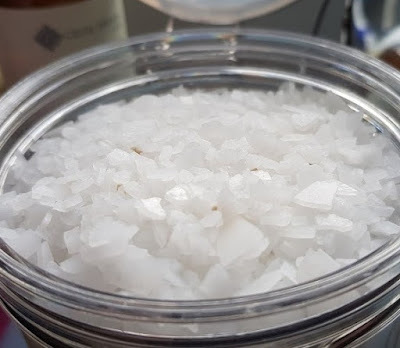 Very fair prices for such excellent quality and ingredients, and products that will last a long time because you need very little. All Celtic Herbal products are available via the Celtic Herbal website. I'm delighted to have a Wellness Gift Box to give away to one of my readers. Entry to the giveaway is by Gleam form below, and it will end at midnight Sunday 15th April. Open to UK entrants only, full terms and conditions are at the bottom of the Gleam form. I was sent my gorgeously pampering bundle for review. I like to have a long, hot bubble bath. With a bubbly bath followed by bubbly rose wine! Having a bath when I get a moment home alone is bliss - no interruptions, and I can just relax for as long as I want! A leisurely hot shower, followed by curling up with a good book, a cup of coffee, and some chocolate. A long, hot bath with either bath bombs or something delicious smelling. Candles, dim lighting and quiet country music playing. I'm not a pamper type of person, but when I get some alone time I love to just have an early night and snuggle up in bed with my dog and a boxset! i like a nice hot bath with candles! I love to relax in my PJs with a hot chocolate and a good book. Just a bath followed by a glass of wine, nothing special. A good film and some nice chocolates. Long hot bubble bath with candles, then moisturize after. Just sitting outside on a quiet, warm, sunny day with my wife beside me. A long hot bath with a face mask and a good book! Access :- Reflexology, or aromatherapy massage. I have a relaxing bubble bath, candlelit! I love a face mask, hot shower and to paint my nails. Nice hot bath with plenty of bubbles, then into comfies and onto the sofa for a great film and a glass of wine. A really long hot bath with a bath bomb or bubble bar, a face mask and a good book to read. IF and when I get the chance then its the usual big bubbly bath with some fizzy wine, some Radio Six music and some cream crackers and cheese! a lovely warm bath and candles and cup of tea perfect! A good book and a glass of wine and the sofa to myself! I like to have a long relaxing bath! Yes a massage once a month. A nice relaxing bath with a cup of hot chocolate. A face mask, a bubble bath and some lovely smelling body oil! I have a facial and massage once a month, so look forward to them. Relaxed in the lounger, in the garden, on a warm Summer's day, reading a good book with a nice cup of tea and listening to beautiful birdsong around me. A comfy blanket and loads of chocolate!! gorgeous giveaway, thanks for the opportunity. I like a nice hot bubbly bath with scented candles and a nice glass of red wine and some relaxing music. An extra super long shower! a bath with a book and then a nap!! I like to have a tea tree oil infused bath and a fresh fluffy towel. A nice glass of wine and a good bar of chocolate! I love to have a pedicure (although not often enough)! I love paying a visit to the chiropodist and having my corns removed! I sit in a comfy chair with a good book and lose myself to the world. I get a back massage. A long hot bath with a glass of wine. It happens very rarely! A warm bath with scented candles and a herbal tea and i some nice skincare products. I try to book a massage once in a while. I love a soak in the tub so this would be heavenly. I like to take a shower then read a good book in bed. I have my hair done, which is only every couple of months but I deliberately get it done miles away from my home so that the day is about me. OK my neck and shoulders hurt and I am shattered so it's not relaxation as such but I actually appreciate getting back home to my family and sleep really well that night.